This page's sole purpose is to provide readers with an interactive chart of the Rand/Dollar exchange rate over time. Readers can draw on the graph, download data, zoom in and out and save it as a image and use it as they see fit. The graph will be updated daily (if we forget to do so we will update at the soonest possible opportunity). A large number of requests for an exchange rate graph came in. And we listen to our readers. Feel free to contact us with any other requests for our website and we will look to address them if possible. Below the interactive graph of the Rand/Dollar Exchange Rate. Users can zoom in and out of the graphic. Significant events affecting the exchange rate is shown on the graph. Two significant events are highlighted in the exchange rate graphic. And on both occasions its President Zupta, sorry Zuma firing respected Finance Ministers in order to place Gupta approved and Gupta brother friendly cronies into the finance minister position so that they can further raid the state coffers as they see fit, while the ANC lead government does nothing to stop their president or the continued looting of state resources. This will surely hurt them in the 2019 elections. We have already seen the impact of State Capture, E-tolls, President flaunting the constitution etc had on the ANC support base in the municipal elections. According to an article on Fin24, news of a earlier than expected funding aid from government to ESKOM, has hurt the currency's fortunes a bit. The article follows below. 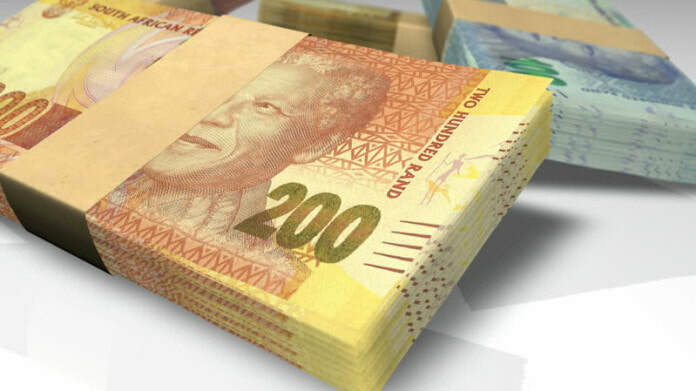 The rand looks set to trade under pressure on Tuesday as the Eskom bailout filters through global markets, according to Bianca Botes, corporate treasury manager at Peregrine Treasury Solutions. Botes said in a morning note to clients that, in addition to the last-minute bailout of SA's power utility, the local currency would face pressure from the US scrapping waivers for Iranian crude oil purchases, which will likely strain sentiment across emerging markets. The local currency opened the day at R14.15/$ and was trading at 14.21 to the greenback by 10:17, down 0.41% on the day. Andre Botha, a senior dealer at TreasuryONE, said in a note to clients that the dollar was expected to be on the front foot on Tuesday as the market avoids "risky assets" in the wake of the US scrapping Iranian crude oil waivers. "Iran has vowed to close the Strait of Hormuz in retaliation, which will impact oil supply to global markets," he said. "This has caused a definite ripple effect for global risk, and could see the rand tread a little water." The spot dollar index - its value relative to a basket of six foreign currencies - was at 97.32 on Tuesday at 10:19, stable on the day after opening at 97.28. The interactive graphic below shows the South African Rand's performance against the US Dollar, The British Pound, The Euro and then the Australian Dollar. If only one currency is selected the graphic will show the Rand value of the currency for the time period selected. If multiple currencies are selected the graphic will show the percentage % gain of the currency against the Rand (so a positive percentage shows the Rand lost value against a currency). Surprising to some readers might be the fact that for 2017 (using the YTD) button, the US Dollar is the currency out of the 4 currencies compared to the South African Rand that has gained the least amount of ground against the South African currency. The Euro has gained the most ground against the Rand for 2017, then the British Pound (recovering from its Brexit shock), the the Australian Dollar just behind the Pound and in a distant 4th place the US dollar. However if users select Max (which is from start of January 2013), the US Dollar has gained the most ground against the Rand. then the Euro, the Pound and then the Australian Dollar. But in all four currencies case they gained substantial ground against the Rand since 2013. Dollar strength and rumours of the pause in the "Trade Wars" between China and USA has put the dollar on the front foot and the South African Rand on the back foot. And sure the Rand has taken a pounding since the ANC starting talking nonsense about Nationalising the South African Reserve Bank, but it's still in a better position it was in at the beginning of 2017. South African Reserve Bank (SARB) announced an surprise 25 basis point cut in South Africa's interest rates on 20 July 2017. Due to lower forecasts of future inflation (and probably to try and assist South Africa's ailing economy and consumers). This event has been added to our interactive chart. 7 August 2017: Speaker in parliament announces secret ballot vote for the motion of no confidence in president Jacob Zuma. Secret ballot a surprise: Fin24 article.